: The story will take place in a barren frontier where people trade goods with each other in order to help each other survive. 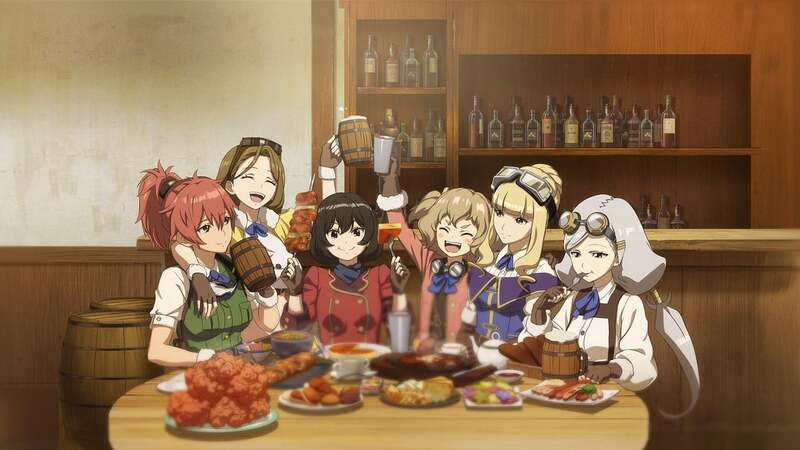 The Kotobuki Squadron are bodyguards for hire, led by a strict but beautiful squadron leader, an unreliable commanding officer, and a true artisan of a crew chief. Alongside pilots who don't lack for personality, they take to the air in dogfights, letting the engine noise of their Hayabusa fighters ring out in the skies.